If it seems like this review came out of nowhere, well that’s kind of true. While the reviews have slowed down here at The Gym Rat Review (buying shoes is expensive; so is owning a motorcycle, and I have a shiny new-to-me 2012 Triumph Tiger 800 sitting in the garage waiting on spring), I have not stopped hooping. I’ve been playing regularly 3-4 times a week in a couple different leagues as well as weekly pick up sessions. 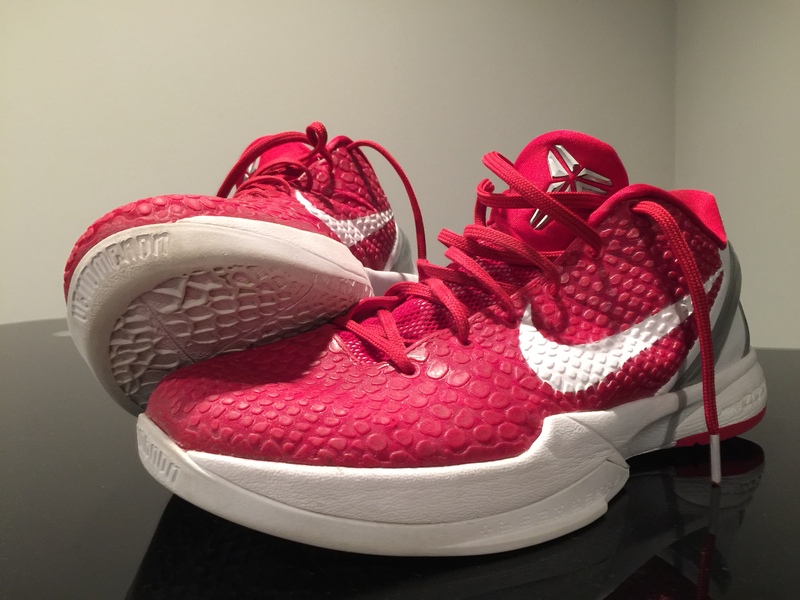 I’ve also been playing in the same pair of shoes for several months – my beloved Kobe VIs. Good floors, and bad floors, against average Joe’s and guys that hoop at the college level, the VIs never let me down. If it’s an important game, the Kobe’s are gracing the court with no questions asked. I know the VIs won’t last forever, and while I should still have a few months left in them, I began looking for a backup pair primarily to wear during random pick-up games or whenever I felt like swapping out the trusty VIs. I tried the Curry 3 first, and loved a few things about it. That shoe has excellent traction and tremendous stability thanks to the two carbon fiber wings and carbon shank plate. You feel very secure in that shoe, which I appreciated. I don’t mind the firmness of Charged cushioning either (I think a dual density Charged/Micro G set up would be great), and there was enough support and impact protection to satisfy me even though it’s definitely on the firmer side of the scale. The Curry 3 is a great shoe, just not perfect for me. The fit was solid too as far as lockdown is concerned, although I felt the top two eyelets made the shoe feel a bit restrictive – I think it would feel good if you have thicker ankles or an ankle brace on. I could never quite get the Curry 3 to feel natural to me, even after 10-12 wearings. I found I liked the fit better with the top two eyelets empty, and ended up thinking that the shoe really would have been better off as a low (a model which is coming of course). Despite the definite plusses, I ended up unloading them on eBay for some other hooper to enjoy. I think they’re an excellent overall shoe, just not quite for me. 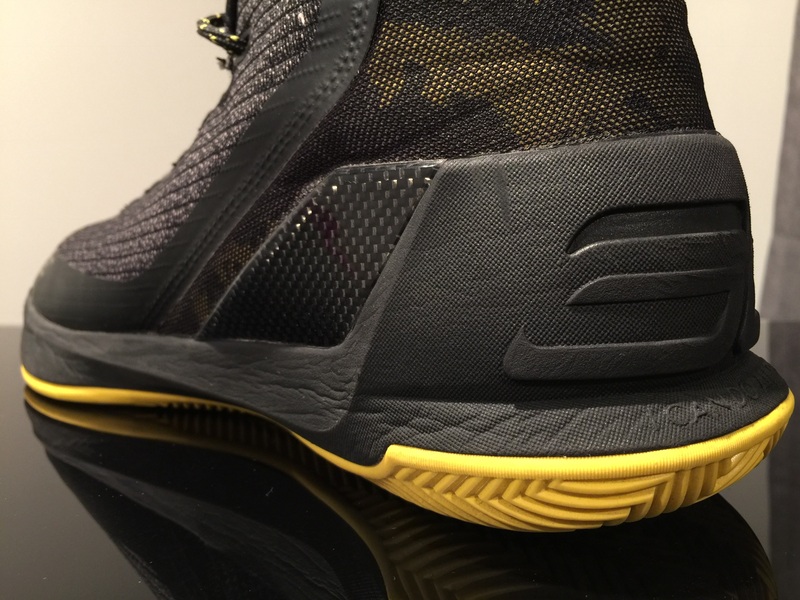 Next was the Brandblack J Crossover 2.5 Low, with the TPU reinforced toe – which hopefully remedied the containment issues noted by Schwollo (he’s a must follow for consistent, in-depth reviews BTW). The materials were fantastic on the 2.5 Low – just a gorgeous shoe. The lockdown was great, fit was super narrow (which I liked), and the shoe rode low to the ground. However, I found the traction to be pretty poor – on courts where even the Kobe VIs grip just fine, I was sliding all over and wiping constantly. They really reminded me of the strength and weaknesses of the KD V Elites, which I loved/hated. If traction gets bad enough, it really bothers my surgically repaired hips on any kind of change of direction. I rely on quick, tight moves and can’t tolerate any slippage. The blade pattern looks fantastic, but for whatever reason it accumulated dust quickly – possibly due to the tight spacing of the pattern and relatively hard compound. I experienced some arch pain even after the break-in period should have ended, and eventually moved on from those as well after just a few somewhat painful runs. I love what BB is doing (best pure visual designers in the game IMO) and I’m eyeing a pair of Force Vectors, but I couldn’t make those 2.5 Lows work. I may be picky, but after four hip surgeries, two years of college ball and thousands of hours of court time since then, I need my long-term shoes to be perfect. Now that I’m 600 words into it, I should probably break this up into two parts. Check out part 2, including my (eventual) selection and review of the Harden Vol. 1. Thanks for the shout out Jake! Motorcycles are $$ stay safe ! No problem, and will do! Glad to see you still doing this. Even on a part time basis. More info and opinions on performance sneakers (at least by people who know what they’re talking about) is a good thing. Thanks Tom. It felt good to write one up again so I’ll continue to do them whenever I pick up something else to add to the rotation.